This is one of the most satisfying cups of hot tea I’ve had in a long time (or thyme). Sorry couldn’t resist. Hope you enjoy this recipe as much as I have! Place coffee filter in coffee maker basket, add grated ginger, lemon thyme leaves, dried basil leaves and tea bags. Fill coffee maker with 8 cups of water and brew tea. When done sweeten to taste and enjoy! 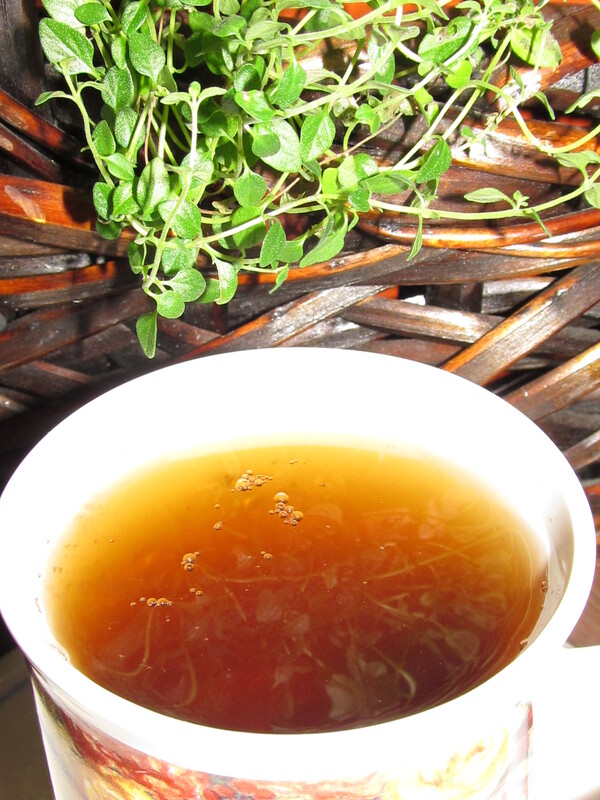 If you like ginger and lemon thyme as much as I do, you will love this tea!